This article is by Marita Shellyr, a PhD candidate at the Graduate School of Business and Law at RMIT University. It was first published on The Conversation and is re-published here with permission. analysis A legal decision which forced Optus to shut down its time shifting service TV Now may eventually lead to reform of existing copyright law to cater for cloud technology. On Friday, the High Court denied Optus leave to appeal a Federal Court decision finding it breached exclusive copyright deals by showing live or pre-recorded free-to-air AFL and NRL games on its TV Now service. The original case brought by the AFL, NRL and Telstra against Optus hinged on the question of who made the recordings of the broadcasts used by TV Now. Under section 111 of the 1968 Copyright Act, time shifting and format shifting can only occur for private and domestic use. The original Federal Court ruling determined it was Optus customers who made the recordings of the live or pre-recorded free to air AFL and NRL games using the TV Now service. However, following the appeal from the AFL, NRL and Telstra, the Full Federal Court ruled that it was Optus, or alternatively it was both Optus and their customers making the recordings. Commercial enterprises such as Optus are currently unable to rely on s 111 of the Act and must seek permission or a licence from the copyright owner or the content rights holder. As noted by the Australian Law Reform Commission (ALRC) in its 2012 Copyright and the Digital Economy issue paper, the reproduction of copyright material by commercial enterprises may lower the value of rights to distribute the material. But if new cloud computing services such as the TV Now have a negative effect on the market value of the broadcasting rights for copyright material, then copyright owners or content rights holders such as film studios and sporting organisations will argue for tighter limitations on s 111. The 2012 Convergence Review recommended a technology neutral approach to policy and law that will incorporate new services, platforms and technologies. However, the Optus case highlights that the language of s 111 is capable of excluding – and in fact does exclude – technological copying developments such as TV Now. The Court stated that “no principle of technological neutrality can overcome what is the clear and limited legislative purpose of s 111”. The ALRC is currently undertaking a review into whether the exceptions in the Copyright Act are adequate and appropriate in the digital environment. One of the areas it is investigating is whether new exceptions should be introduced to cover cloud computing services, as well as whether the reproduction of legally acquired copyright material, including broadcasts, should be allowed beyond private or domestic uses. It also wants input on whether the time shifting exception should cover copying by a company on behalf of an individual. It will be interesting to see if the ALRC review recommends changes to the wording of s 111 to ensure that the exception is technology neutral and includes new technology and services capable of reproducing and communicating (including broadcasting) copyright material. While the review may recommend the broadening of the private or domestic use to include a fair or reasonable use, it is unlikely to include a use for commercial purposes. But similarly to the confusion that exists in the US about what is “fair use”, the introduction of a clause covering fair or reasonable use may not clarify the situation. For example, would the full Federal Court finding that Optus was able to make games available to their customers (without a licence from the copyright holder or owner) have been ruled a fair or reasonable use, or would it have been ruled a commercial use and as a consequence remain a copyright infringement case? Submissions related to the Copyright and the Digital Economy issue paper close on 16 November 2012. 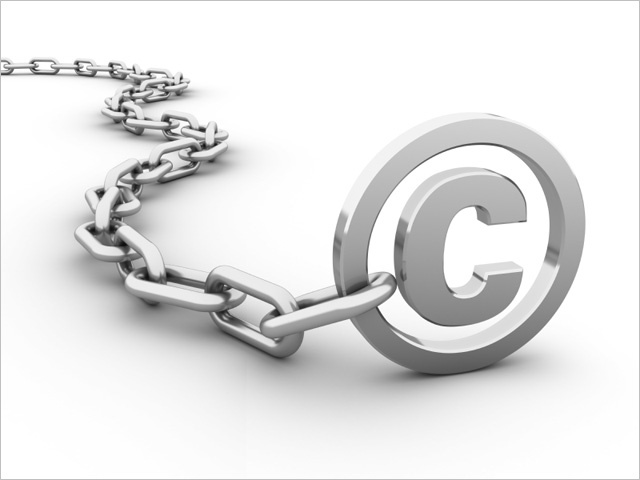 The ALRC is expected to release a final report on the copyright review by November 2013. Marita Shelly does not work for, consult to, own shares in or receive funding from any company or organisation that would benefit from this article, and has no relevant affiliations. This article was originally published at The Conversation. Read the original article. The introduction of Fair Use would be excellent. Even if it is vague, it’s still a protection from zealous rightsholders. I’m honestly quite disappointed that copyright reform isn’t more prominent in discussion everywhere, as there seems to be quite a lot of disregard for the law as it currently stands all over the world (see: The Pirate Bay, etc). Maybe, Renai, we could hear from both Optus and the NRL to see how they’d like the laws to be. Or if that’s too obvious (you know, since they did just have legal fisticuffs about it…) we could hear from other organisations, like iiNet or Telstra, the three political parties, the independents, and so on. If you ever have a slow news day, it’s at least a topic of discussion with wide-reaching ramifications, even if some people might find it to be dry to debate legal reform. If you want a picture of how copyright law applies to the cloud, just look at the Megaupload case, and how both it and Kim Dotcom have been treated for the past 8 months. Whether people think he is guilty or not, the outcome of that case, assuming it gets to court, will dictate whether or not ‘the cloud’ is a viable option. If Megaupload loses, then basically ANY breach is enough to shut a company down, and thats not even close to worth the risk. Much like iiNet winning its case against AFACT, I see cloud services such as Megaupload as being covered by safe harbor laws. Hopefully the courts will back that up. As for the TV Now situation, that flies far too close to the NRL deals with Telstra. I for one can understand the ruling. Whether I agree or not is a different matter.